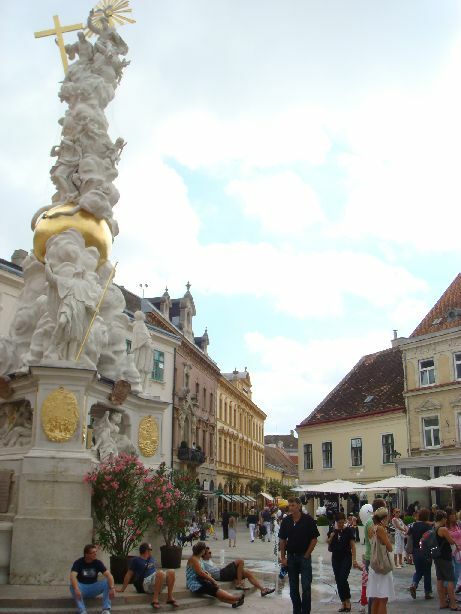 The Hauptplatz is the main square in the center of Baden and a mighty Plague Pillar stands in the middle of it. 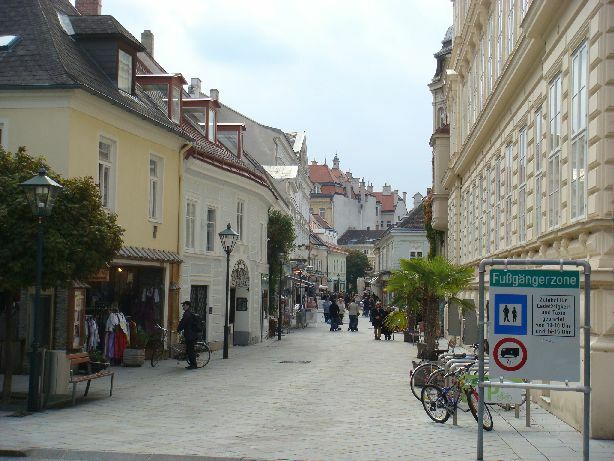 It is a part of the spacious pedestrian area. 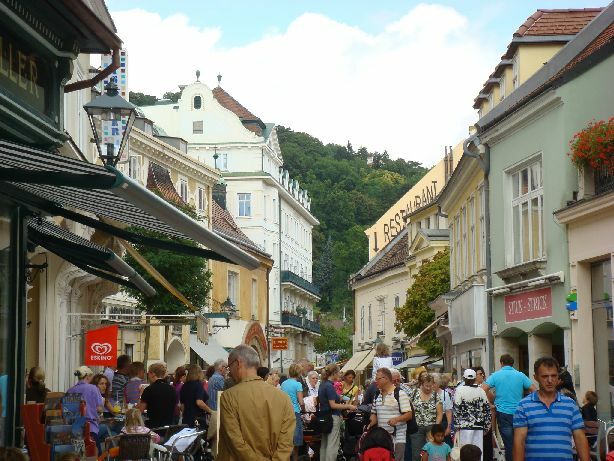 Here you will find numerous small shops, cozy cafes and restaurants as well as some historical buildings. The baroque Plague Pillar was constructed in 1713 to remember on the victory over the plague. The Rathaus, which was built in 1815, is also situated at the Hauptplatz as well as the Kaiserhaus, which was acquired at the beginning of the 18th century by the Emperor Franz I. In nowadays the Kaiserhaus is used for the presentation of changing exhibitions. These can usually be visited from Friday to Sunday and are sometimes even free of charge. 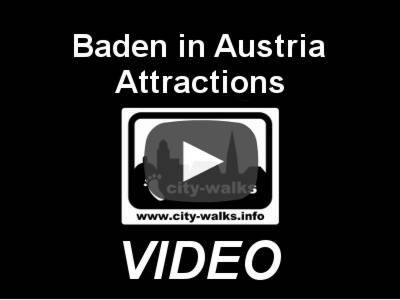 Exact dates and more information is available at kaiserhaus-baden.at.